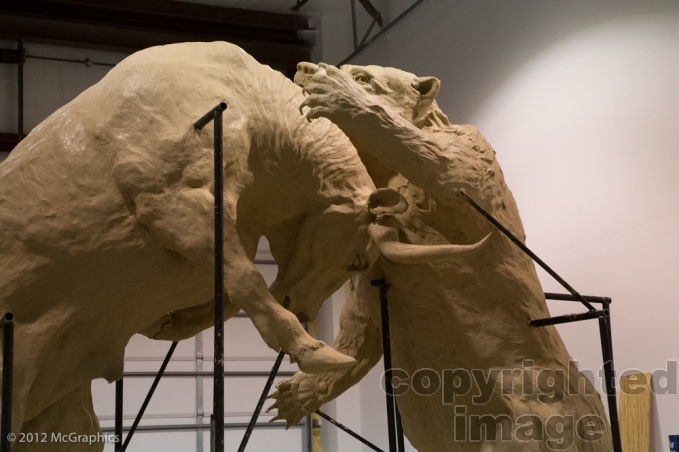 The Bull and Bear is subtitled ,”Force” since the CEO of Stifel Financial Corp. believes his company understands the dynamics of both Bull and Bear markets. He wanted to make sure that it would be an even fight. I even asked everyone who saw it being made which would win…I got answers evenly both ways. As far as I know, this even fight is unique in depictions of the Bull and Bear in conflict. 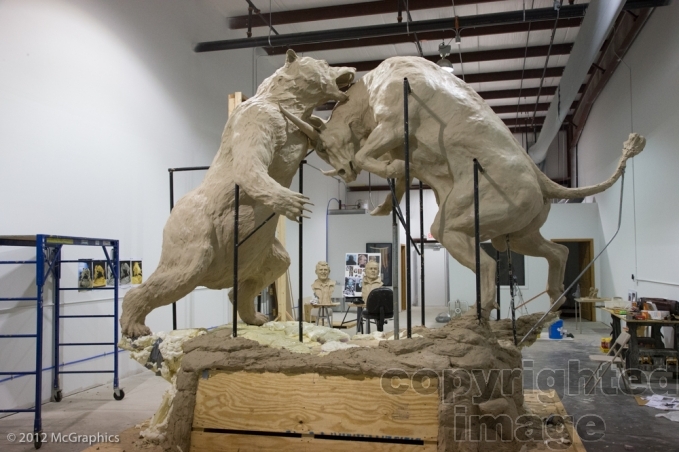 The Bear is based on the large Kodiak Bear and the Bull is based on Spanish fighting bulls. The statue weighs in at about 9000 pounds and it is 12 get high 12 feet long and ten feet wide. From initial sketches to installation the statue took almost exactly one year to complete. It was so large that we had to lease a warehouse to accommodate all the steps necessary to finish it. Following his education, Weber served six years in the United States Navy. This included a year on river patrol boats in Vietnam where he compiled a compelling series of drawings chronicling his experiences there. These are to be featured at a permanent display of Military Art on the USS Alabama. His sculptures have been featured at the Museum of Fine Arts in Newport, Rhode Island and are in the permanent collections of the National Dog Museum and the Baseball Hall of Fame in Cooperstown, NY. Two of his sculptural groups have been designated National Lewis and Clark sites by the Federal Parks Department. This includes a twice life sized grouping of Lewis and Clark on the St. Louis Riverfront which commemorated the final celebration of the bicentennial of the expedition. 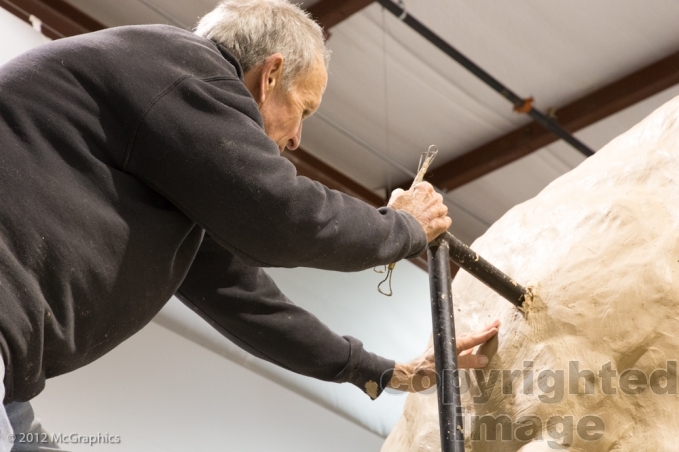 His sculptures of famous sports figures are prominent features at twelve different professional and amateur stadiums, including Busch Stadium St. Louis, MO, Kauffman Stadium in Kansas City and the TD Garden in Boston, MA. A major display of his work is at the Missouri Sports Hall of Fame. In 2011 he was named the National Sports Artist of the Year by the US Sports Academy.